Wildlife Deer Folding Knife | BUDK.com - Knives & Swords At The Lowest Prices! 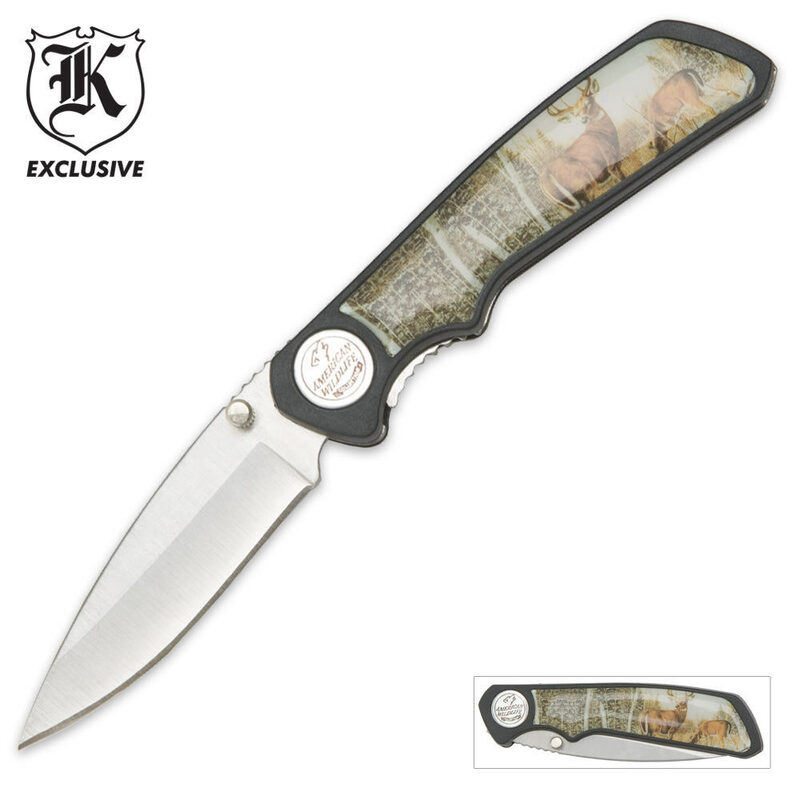 Get ready for hunting season with this 3 1/2" Wildlife Collection folding knife. It features full-color artwork of white-tailed deer and a 2 3/4" stainless steel knife with a thumb stud for easy opening.